A tiny portable biosensor detects even trace amounts of atrazine - a widely used agricultural herbicide. It also detects antibiotics in food. The device was created by Universitat Autònoma de Barcelona scientists to provide an easy means of testing outside the laboratory. 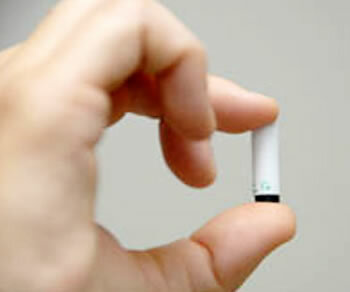 These portable biosensors can be manufactured on a mass scale, bringing the price down so that anyone could afford them. If desired, they could be sold as a personal, portable one-time poison sensor. He looked around at the clusterings of guests, the jeweled hands clutching drinks (and the unobtrusive inspections with tiny remote-cast snoopers). Take a look at A new portable biosensor detects traces of contaminants in food more quickly and cheaply (press release); via Vegetarian Organic Life Blog via TheRawFeed.